Stuart holds a B.S. in Mechanical Engineering from the University of Virginia, and an M.S. in Mechanical Engineering from Carnegie Mellon. His research focus is developing new actuator hardware and control algorithms that make robots more dynamic, safe, and energy-efficient. During his time at CMU, Stuart has designed and characterized an electroadhesive clutch that weighs 10x less and uses 1000x less energy than conventional designs. He is currently prototyping an actuator based on these clutches that can harvest and return a robot's wasted movement energy at more than 85% efficiency. This design promises to make mobile and interactive robots dramatically more capable, lightweight, and efficient. Anhong Guo is a Ph.D. Candidate in School of Computer Science at Carnegie Mellon University, specialized in Human-Computer Interaction. He has published in many top academic conferences in interface technologies, wearable computing, accessibility and computer vision. Before CMU, he received his Master’s in HCI from Georgia Tech. He has also worked in the HCI group of Snap Research, the Accessibility Engineering team at Google, the Intelligent User Experiences group in Microsoft Research, and the Mobile Innovation Center of SAP America. His research investigates deeply integrating crowdsourcing and computer vision techniques to understand visual information in the real world, and applying this to two application domains: Accessibility and Internet of Things. He is excited to explore the hybrid crowd-AI approach in enabling better access to information, interfaces and environments for visually impaired people. Ashwati Krishnan obtained her B. Tech from Vellore Institute of Technology (VIT) in Electronics and Instrumentation Engineering. She received her M.S. and Ph.D. in Electrical and Computer Engineering from Carnegie Mellon University. Her doctoral dissertation was on safe electrical stimulation circuits in retinal implants. Ashwati's post-doctoral research is on the instrumentation and hardware development of ultra-high density electroencephalography (EEG). EEG is a technique used to non-invasively record signals from the brain on the scalp. By increasing the number of electrodes, it is possible to obtain more information, when combined with signal processing algorithms and neuroscientific validation methods. Her recent work focuses on the development of a reusable conductive interface between the electrode and the scalp in order to reduce the setup time. She also designs electronics circuits for efficient management of high electrode counts. Brandon holds a Master's degree in Media Arts and Sciences from the MIT Media lab and B.S. degrees in Radio, Television and Film and Electrical and Computer Engineering from The University of Texas at Austin. Throughout his academic career and his experience at Samsung Electronics, Brandon's research focus has long been on sensing and interpreting user actions from novel interfaces. As a Ph.D. student in the HCII, Brandon developed a multi-modal approach to recognizing American Sign Language (ASL). He is now working to scale and distribute his ASL recognition system. With expanded data collection, Brandon hopes to both improve automated ASL recognition and cultivate a database for exploring automated ASL to English translation. Jeremy received his B.S. degree in electrical and computer engineering from the University of Pittsburgh. He currently works in CyLab, Carnegie Mellon University's security and privacy research institute, as a software engineer contributing to research in usable privacy and security. Jeremy also is pursuing a master’s degree in privacy engineering through the School of Computer Science and the College of Engineering. As part of Professor Nicolas Christin's research group, Jeremy has worked on developing a continuous monitoring software system to collect data from online anonymous marketplaces throughout the "dark web" and other various “surface” web platforms. This allows for a detailed understanding of the growth of the online anonymous marketplace ecosystem and the evolution of the types of illegal goods and services being bought and sold online. Sankalp Arora is a doctoral candidate Ph.D. student at the prestigious Robotics Institute (RI) at Carnegie Mellon University. He holds a Masters in Robotics from RI and undergraduate in electronics from Delhi College of Engineering. He also has experience working with Hitech Robotics Systemz. During his graduate studies at RI he has developed planning and perception algorithms for flying vehicles. He developed safety and sensor planning for AACUS, the world's first guaranteed safe full scale autonomous helicopter and the world's first weather invariant infrastructure free ship-deck tracker. He is a recipient of the 2016 Qualcomm Innovation fellowship for the development of autonomous Unmanned Aerial Vehicles for data gathering. Sankalp is now working towards developing AI for flying vehicles for high value commercial applications like inventory taking, inspection and logistics. Erin Dauson received an A.B. in Engineering, and Mathematics from Dartmouth College, a B.E. in Optical Engineering from Thayer School of Engineering at Dartmouth College, and a M.S. and PhD in Civil and Environmental Engineering from Carnegie Mellon University. She is now a Postdoctoral Research Associate in the Civil and Environmental Engineering Department at CMU. 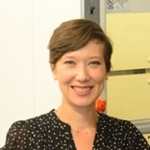 Erin’s graduate and postdoctoral research has focused on the development of microfluidic devices that use an acoustic field to focus or separate particles by their physical properties. Her recent work focuses on the separation of human blood cells in an inexpensive, micro-machined, acrylic prism that contains a microchannel which is tilted at an angle with respect to a standing acoustic wave field. The difference in the acoustic force and drag force on cells with different properties in this device causes them to separate. Her current research aims to apply this technology to droplet-based, point-of-care medical diagnostics. After a B.S. in Biomedical Engineering at Purdue University, T.J. completed his M.S and Ph.D. in Biomedical Engineering at Carnegie Mellon University. For the past 6 years, T.J. has been working with open-source, extrusion-based 3D printing. As part of Prof. Adam Feinberg’s lab, T.J. invented the first embedded 3D printing technique FRESH for additively manufacturing fluids that gel. T.J. seeks to commercialize aspects of the FRESH 3D printing ecosystem and thereby supply additive manufacturing research with a reliable means of 3D printing fluids. Navid received his B.S. degree in civil engineering from Sharif University of Technology and got his M.S. degree in civil and environmental engineering from Carnegie Mellon University. His main research interest is on multifunctional soft materials with suspension of liquid metals embedded in elastomers. He has worked on developing a flexible and stretchable rubber that has thermal conductivity approaching metals (Thubber). This material is softer than human skin and can stretch up to 7 times its initial length. Thubber can have applications in wearable computing, stretchable electronics, biomedical devices and athletic garments. Amber Lucas received her B.S. and M.S. in biochemistry from Texas State University. Amber's research involves developing tools for researchers to better study the proteins of the cell. These tools are designed to make pharma and biotech experiments involving proteins faster, more reliable, and more sensitive. Proteins are often used as biomarkers for disease, therapeutic agents to treat diseases, or to understand the underlying mechanism of a disease, so these tools will allow pharma and biotech companies to get diagnostic tools and therapeutic agents to market much faster than currently available methods, as well as allow for deeper understanding of the mechanisms that can lead to a disease in the first place. Antonina received her B.S. and M.S. in Chemical Technology and Biotechnology from the Mendeleev University of Chemical Technology of Russia, and holds a PhD in Chemistry from CMU. During her graduate research she has worked on the technology at the interface of polymer and protein science, which can transform enzymes into efficient catalysts useful in pharmaceutical, chemical and biofuel industries. Antonina is currently directing research and development efforts at BioHybrid Solutions, a CMU spin-off focused on the development of a protein enhancement technology platform. The mission of BioHybrid Solutions is to revolutionize the use of proteins in industrial and pharmaceutical applications through polymer-based protein engineering. Miao received his B.S. in software engineering and M.S. in computer software and theory from Shanghai Jiao Tong University, China. Miao's research focuses on providing trusted accesses to devices for security sensitive applications isolated from the commodity software. This research fills the gap in achieving end-to-end security; e.g., a banking client software securely communicates with its server via encrypted network, and can now apply this research to securely interact with users even the operating system is compromised. Jungsuk Kim received his B.A. and M.S. in electrical engineering from Seoul National University in South Korea. His research focuses on parallel processing and machine learning, specifically with respect to Automatic Speech Recognition (ASR) on GPU-accelerated platforms. Jungsuk is currently leading ASR development at Capio, a startup that is developing the next generation of speech recognition and natural language understanding technologies. Capio’s unique architecture delivers an unmatched combination of speed and accuracy for speech recognition and contextual understanding. Javad Mohammadi received his M.S. in electrical and electronics Engineering from the University of Tehran. His main research interests include, optimization in energy networks, power system operation, distributed algorithms and smart grid. The focus of his research is providing distributed solutions to power systems that are currently solved in a centralized manner. This class includes OPF and SCOPF and other optimal power dispatch problems. Javad is developing a fully distributed algorithm that not only handles the computational complexity of the problem, but also provides a more practical solution for these problems in the emerging smart grid environment. Clinton holds an M.S. degree at CMU CEE and a B.S. degree in environmental systems engineering from the Pennsylvania State University. He is also the chief operating officer of Anactisis, LLC. In his Ph.D. work, Clinton has studied the aqueous carbonation mechanisms of alkaline industrial wastes, the geochemistry of the rare earth elements (REE) and chemical/engineering strategies to recover the REE from complex aqueous matrices. Xavier received his B.S. degree in electronics engineering, as well as his M.S. and Ph.D. degrees in computer science from Universitat Politecnica de Catalunya, Spain. He is conducting research in facial image analysis and collaborating with FacioMetrics LLC to transfer this technology to the wider public. Dave has a B.S. in mechanical engineering from Virginia Tech and an M.S. in biomedical engineering from the University of Michigan. In the past five years Dave has worked on several artificial lung projects including the compliant Thoracic Artificial Lung (cTAL). In the coming years he hopes to continue research into artificial lungs and provide a long-term treatment mode for millions of untreated chronic respiratory disease patients. Matt was a member of the second graduating class of Franklin W. Olin College of Engineering in 2007, receiving a B.S. in engineering with a concentration in systems. He pursued an interest in full systems-level problems, from the hardware to the software, through graduate studies in the Robotics Institute at Carnegie Mellon receiving an M.S. in robotics. Matt's work includes research with HEBI Robotics, a spinoff from Carnegie Mellon’s Biorobotics Lab. HEBI is enabling the rapid development of inexpensive, high-quality and safe robotic systems through the use of intelligent robotic modules. John is a former employee of the U.S. Department of Energy at the National Energy Technology Laboratory with a Ph.D. in electrochemistry at the University of Bath in the U.K.
John worked at the U.S. Department of Energy working with future Lumishield co-founders, Dr. Hunaid Nulwala and Dr. Dave Luebke. Lumishield is a materials spin-off from CMU focusing on solving the problem of steel corrosion in an environmentally responsible way to replace the current highly toxic technologies that industry needs. Nesra holds an M.A. degree in learning, design and technology from Stanford University, an M.S. degree in computational sciences and engineering and B.S. degrees in physics and computer Engineering from Koc University, Istanbul. She also has experience working with Disney Research and NASA Ames Research Center. During her Ph.D. in human-computer interaction at CMU, she started NoRILLA, a new mixed-reality system bridging physical and virtual environments to improve children's science learning in a more enjoyable and collaborative way. Molly holds a B.S. degree in mechanical engineering from the University of Washington and now pursues the development of medical devices in the biomedical engineering Ph.D. program at Carnegie Mellon. Molly’s most recent innovation, PalpAid, addresses the fact that non-life-threatening benign breast diseases are treated like cancer, causing unnecessary stress and costs. PalpAid provides a safe and reliable alternative to painful tests and biopsies of probably benign conditions. Through the development of unique and forward-thinking medical devices like PalpAid, Molly intends to help shape how we collect and interpret health care data to enhance the role of patients in their own care. Jeffrey holds a B.A. degree in computer science from Carleton College and an M.S. in human-computer interaction from Carnegie Mellon. In his research, Jeffrey studies how people interact and generate online content. Jeffrey is also co-founder and CEO of DataSquid, a data visualization startup. DataSquid uses cutting-edge data visualization research to help businesses and everyday people make better decisions with their data.